Local Wanstead Flats' historians Mark Gorman and Peter Williams, continue our occasional series, The Street Where You Live with a glance at Dames Road, running from the junction of Woodgrange/Woodford Roads to the Leytonstone borders, along the edge of Wanstead Flats. See the footnote for details of earlier articles in this series and other work on local history by Mark and Peter. The area between Maryland Point and Forest Gate was largely under-developed agricultural land, until the 1860's, after which it was slowly transformed into market gardens and gradually housing, as transport and population growth moved eastwards, with the rapid expansion of London. railway is marked in red. The "market gardens" in and around what we now know as Dames Road were developed as leisure and commercial pursuits by people from the more traditional east-end, such as Whitechapel, and cabinet makers of Curtain Road in Hackney. The gardens provided recreational and trading activities for some adventurous people, many, perhaps, missing their own rural roots in earlier days, in Essex and Suffolk. 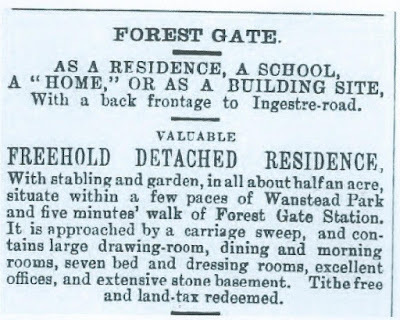 The "gardens grounds" offered weekend time away from inner city congestion, as five and a half day working became more common and the railway network reached out into areas such as Forest Gate. Many of those renting the land for the gardens would put up huts - for weekend stays - which soon developed into housing in the area. 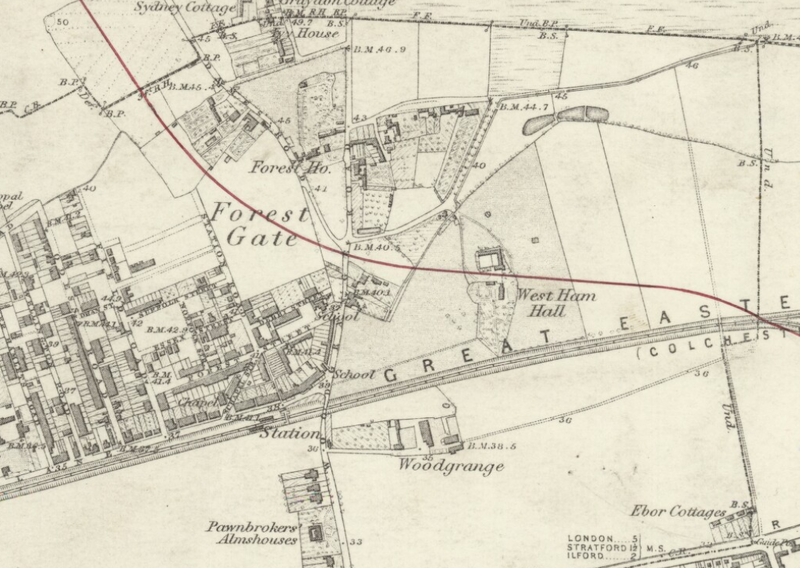 The western part of Forest Gate, between Woodford Road and Tower Hamlets Road, belonged to the Dames family for much of the first half of the nineteenth century. Charles Richard Dames was a sugar refiner, probably born in the parish of St Mary, Whitechapel in 1793. Like many city merchants, Dames bought property on the fringes of London, and became a substantial member of the local community. He was elected a churchwarden, for example, in 1855. By the time of his death, in 1862, he held land and had homes in both Whitechapel and Forest Gate. He died at Forest House (see 1863 map, above), which was located approximately where Anna Neagle Close is, today - probably in a house similar to the one pictured below. He may have commuted from this rural home to the city in the years running up to his death. From 1855, Dames began to sell off some of the land between Woodford and Tower Hamlets Roads , in small plots. About 1866 - after his death - the Conservative Land Society bought a large area, leading to more rapid development there. It, and the United Land Company, which also bought plots locally at this time, cut them up into smaller plots and sold them to local developers and would-be owner-builder-occupiers. The object of the Conservative Land Company was to create Conservative-voting constituencies in localities where they bought land. At a time when the voting franchise still depended on property ownership, particularly outside the cities, the sale of building plots was seen as creating an independent, reliable Tory electorate (echoes of Lady Porter in 1980's Westminster - except she used tax-payers' money, to do it!). It is likely that the Birkbeck Building Society, the Birkbeck Bank and Birkbeck Freehold Land Society were also active in and around the Dames Road area at this time. 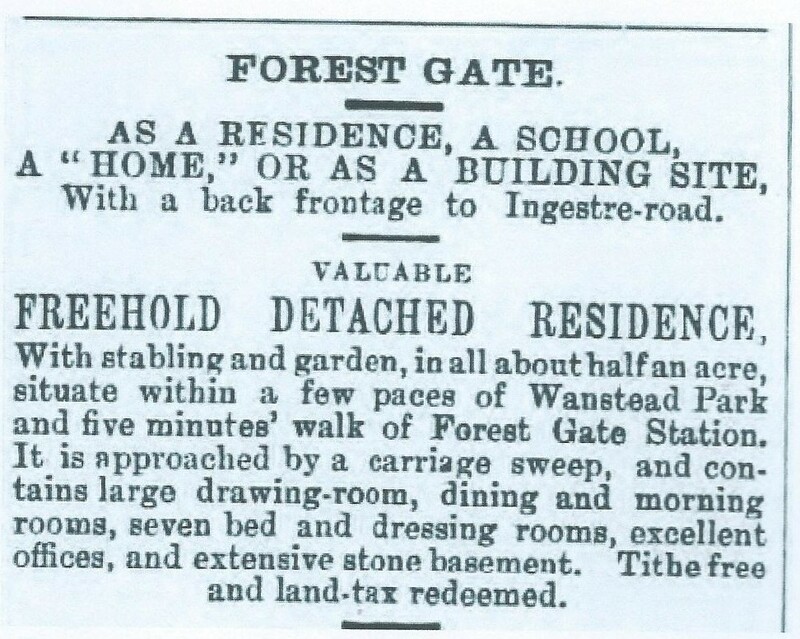 They were offering plots of land for 5/- (25p) per month "either for building or gardening purposes". Some of these may have been west of Dames Road. where there were garden plots owned by east Londoners who came out to them at the weekend. These Birkbeck organisations were all vehicles for making loans to aspirational members of the working class who wanted to build their own homes, or at least acquire a plot of land in the suburbs, springing up on the fringes of London. As Conservative Land Company chairman concluded in 1866; "The working man doesn't like being patronised. They don't like going into model lodging-houses, and prefer buying land and building their own homes." He described the Conservative Land Company's acquisition of the Dames Road area site, in 1866, in glowing terms, as "one of the most valuable building properties ever acquired by the society in the suburban districts." The site, he said, was adaptable both for villas (usually high quality, detached houses) and houses of "a superior class", but also for working class dwellings. It fronted the road leading to Wanstead Flats and Forest Gate station, offering a frequent service to London, at cheap fares. Charles left £90,000 (almost £10m today, using the Bank of England inflation calculator) in property and cash to his three sons and his daughter, on his death. His son, George, died soon afterwards in 1878. He too was a sugar refiner and substantial property owner - some in the Forest Gate area - much, presumably, inherited from his father. He did, however, live in Stoke Newington, where three servants catered for his needs. the Forest Glen on the left. The Dames Road plots were built upon predominantly in the years prior to 1878, becoming the homes of clerks and small businessmen in the City. Rents ranged from 8s 6d a week to £40 a year. In other parts of Dames Road, 4-roomed and 6-roomed houses fetched between 9s and 11s a week, and were occupied by two families, according to early twentieth century social researchers Howarth and Wilson. The tenants were builders, stonemasons and other artisans, and a few clerks. These properties were said to be much in demand in the early years of the twentieth century. Building in Dames Road ceased about 1880. Meanwhile, Field Road and Odessa Road (built in the 1850s) to the west of Dames Road were home to less well-to-do artisans, carmen (drivers of horse-drawn goods wagons) and labourers. 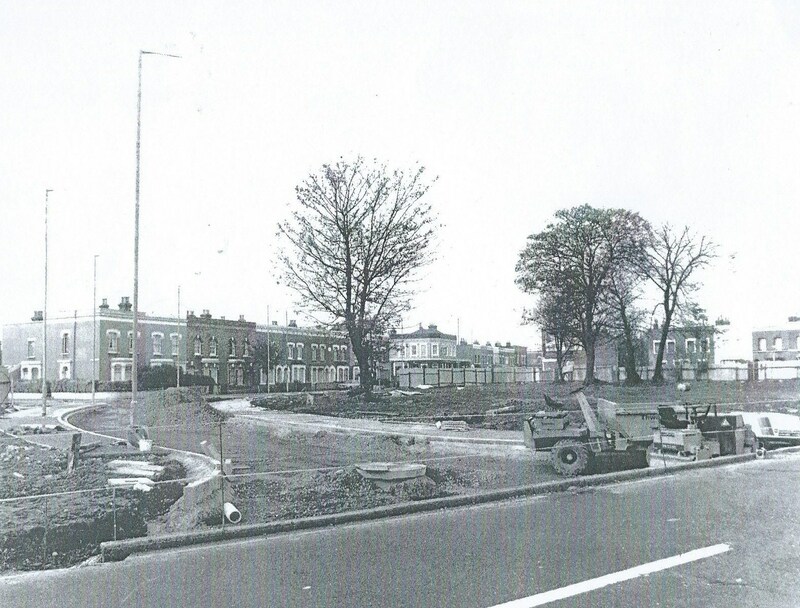 Fast forward to the post World War 11 period, and the re-development of the lower part of Dames Road. The photo below shows it under redevelopment early 1980s. This was in preparation for rebuilding for "slum clearance". This site was one of the last council housing developments carried out by Newham directly without the involvement of a housing association. Indeed, it was built by the council’s own directly employed labour force (DLO). Such council building died out in Newham by 1985 as the Thatcher government did not want local authorities to build council homes. Housing associations took over that role. The last council development in Newham was Howards Rd E13 (done jointly with an association) until the direct development of council rented homes started again on a very small scale about 5 years ago. There have been a few small rented developments since. 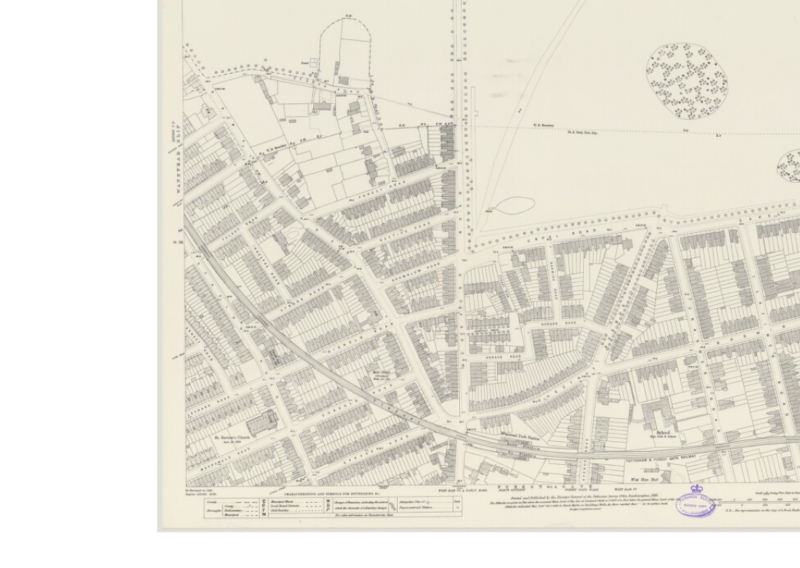 This site has referred to Dames Road, in passing, in previous posts, some of which readers may be interested in revisiting. 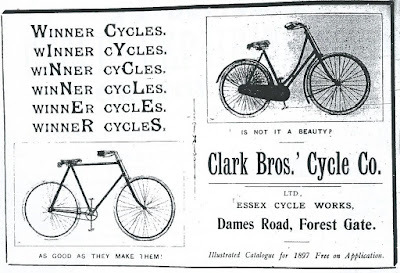 Cycling The foot of Dames Road, at the turn of the twentieth century, was at the centre (or should we say hub?!) of a significant local small-workshop cycle industry, hosting at least half a dozen, manufactories - see here. 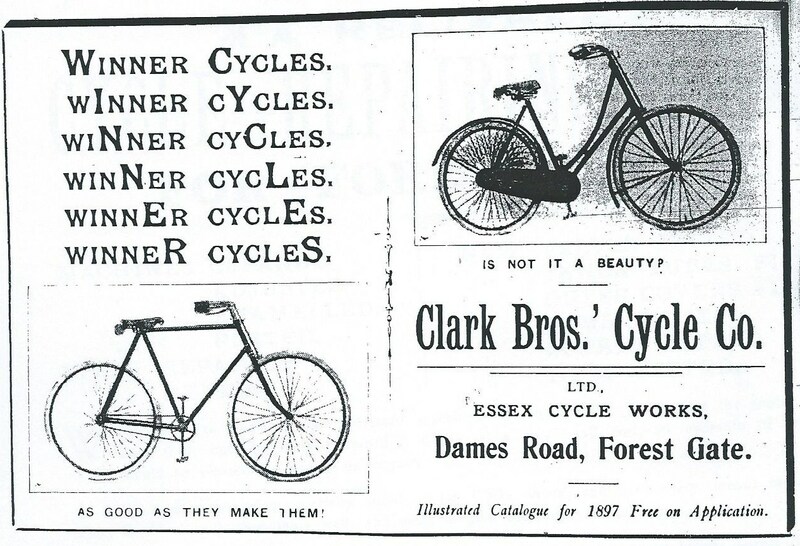 A detailed account of life and work in one of them - Clark's - from 1897, appears here. Boot making Last year, we traced the story of Dames Road boot maker, TR Page, from a postcard sent showing the exterior of his shop, through much of the twentieth century (see here). Doodlebug Dames Road was the site of one of Forest Gate's worst bombing sites in World War 2, when a Doodlebug destroyed much of the land and houses near the Holly Tree public house - see here for details. Listed building - Our recent article on Forest Gate's English Heritage-listed buildings featured 89 Dames Road - photograph above. Unfortunately, little is known of the history of this once splendid villa (now flats), but, see here, for details. In the 1950's it was a wedding venue, with a huge function hall, run by a company called Hart and Holman. It was described, by a church goer at the Christian Israelite church opposite, who held events there as having a "lovely room", which hosted the "highlight of our year" - the Sunday school party. Anti- German riots We have not covered this before, but couple of postcards have recently appeared for sale on eBay, featuring a German baker on Dames Road, whose property looks as if it was targeted for anti-German riots during World War 1. See the photos of Gobel, the baker's, located at 74 Dames Road (site of a car workshop, today) and note from the second photo what appears to be riot damage suffered by it. 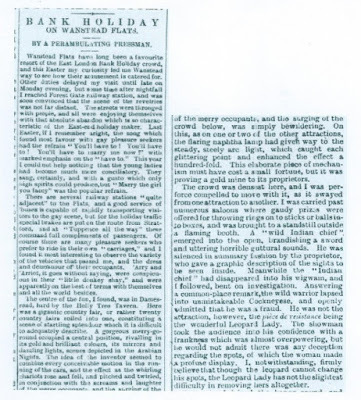 We covered anti-German riots in Forest Gate in May 1915, following the sinking of the Lusitania, a year ago (see here). The looting/rioting of the Gobel's shop , however, did not feature. The 1906 post card, above, suggests that Gobel did not move into the shop on Dames Road until after that time, although a 1912 trade directory lists an Ambrose Gobel as being a baker at that address, then. Idris Elba's Dames Road connection Hollywood superstar actor, Idris Elba can claim a significant Dames Road influence on his life(see here). He worked at Uncle Tom's garage (see above for photo) as a youngster, having spent most of his youth growing up in Canning Town. He revisited the garage in November 2013, on a trip back to his roots. It was doubtless this Dames Road experience that enabled him to play a strong role in the great American TV series The Wire and the Mandela movie, for which he was nominated for an Oscar! We acknowledge the Newham Recorder's copyright of the photo, below, capturing the moment. Their report of the occasion can be found here. Fairs Dames Road, of course leads in to Wanstead Flats, a pleasure ground for many years. 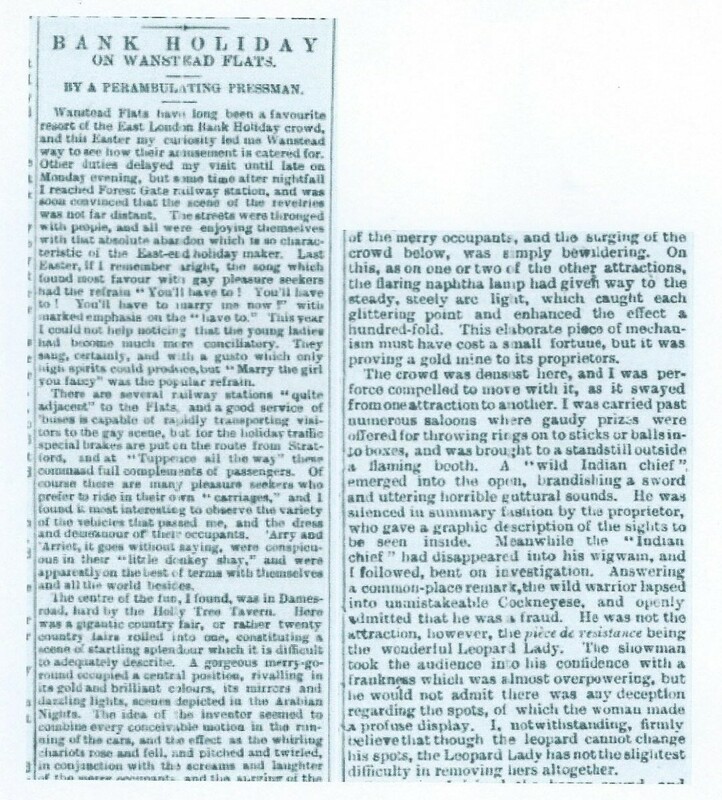 Below is an extract from an 1898 newspaper describing a scene at a Bank holiday fair on the Flats that year, focusing on the important role of the Holly Tree on Dames Road. The extract may be indistinct, so we have transcribed a relevant section of it, below. This extract came from Peter's posting on Woodford Road. There are other items in that post which relate to Dames Road - see below for link to it. Footnote: Peter William's other local postings on The Street Where You live can be found by clicking on the relevant street: Woodford Road, Ebor Cottages and Chestnut Avenue. Peter and Mark have written a number of booklets on Wanstead Flats: on Prisoner of War Camps during WW2, Post War struggles to prevent development and, most recently games and sports on the Flats at the end of the 19th century. These can be bought, very reasonably priced, from Newham Bookshop, or from the Leyton and Leytonstone Local History Society, who published them, here. Mark and Peter can regularly be found giving talks on their publications, which are totally absorbing and come very highly recommended. Very interesting thank you. Does anyone know the history of the church round the corner of Forest Road and Dames Road? Everyone I talk to, who has lived in the area at least 30 years, have never seen it open. But but but I spoke to Uncle Tom's proprietor who told me the building was never a bakery but a dairy and that where I was standing was the stables. 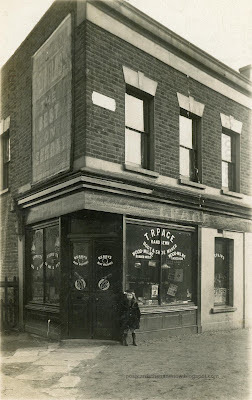 The bakery was over the road where is a corner shop grocer's. Well, that threw me.